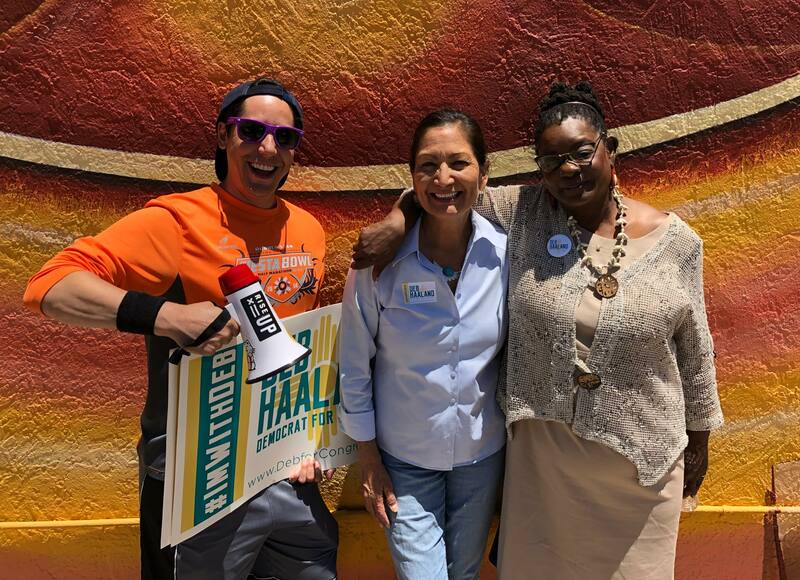 Deb Haaland will be the first Native American woman ever elected to Congress, and with the help of Common Defense and New Mexico veterans, she won her primary and is running a grassroots campaign fighting for racial justice, ending poverty, and investing in our communities. Since the first Congress met in 1789, more than 10,000 people have served in the House and nearly 1,300 have served in the Senate. But there’s never been a Native American member of Congress. Common Defense-endorsed candidate Deb Haaland is on track to change that. Deb won her primary in New Mexico’s first district. And if we win again in November, she’ll become the first Native American EVER elected to Congress. Deb has a track record of standing up to Donald Trump, and will continue to hold him and Republicans accountable. She knows we must double down on our commitment to clean energy in New Mexico, which will create good paying jobs by harnessing the power of our natural resources. In Washington, she will fight for Medicare for All, abolish ICE, and make real investments in ending poverty. Both of Deb’s parents served in the military, and she believes we have a duty to take care of veterans. After spending her life standing up for her community, she’s ready to do the same in Congress. Knocking on doors in Albuquerque.